EDIT: yay for page 2! The key here is to picture a room full of male wota going "Kyaaaa~!!" Ishida: Because I like Gokusen, I want to be a boy who gets into fights. 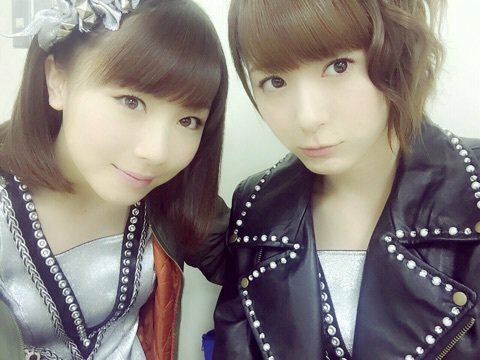 Ishida: Ikuta-san has said she wants to perform in a bad role. 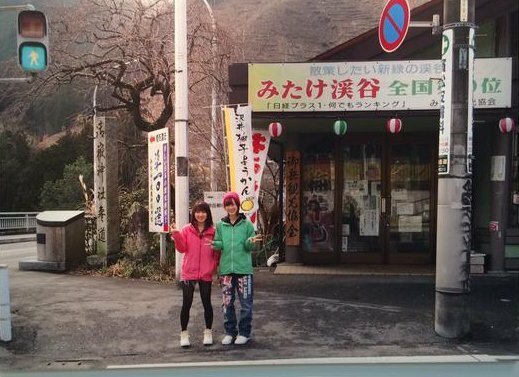 Apparently Eripon said in Tochigi a year and a half ago that she wanted to act in a bad role. Ikuta (quickly raised her hand): Eri has one! 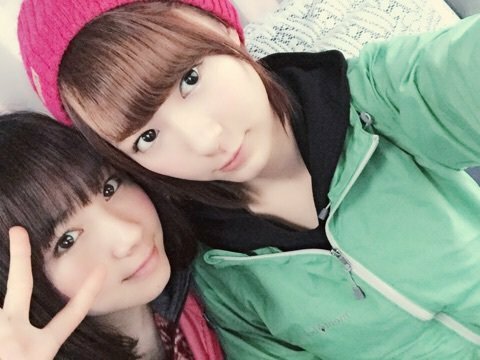 Ikuta: Eri wants to be told “kyaa”! 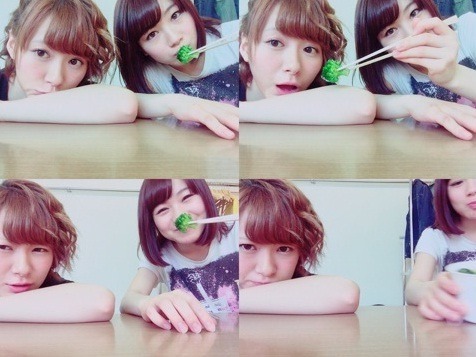 Ikuta: There are situations when Eri wants it said… Moments in basketball or soccer when you decide to take a shot! Ishida: I want to be a cool high school boy. When I say “good morning,” while dashing and passing through girls chatting in the hallway, I want “kyaa” to be said to me! Ishida: Speaking of acting, this time I have a princess role in TRIANGLE. So everyone, I am very grateful! 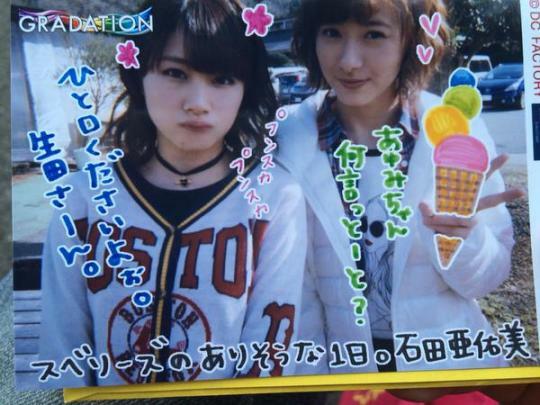 Ikuta: Didn’t you say “kyaa” to me during the talk corner? 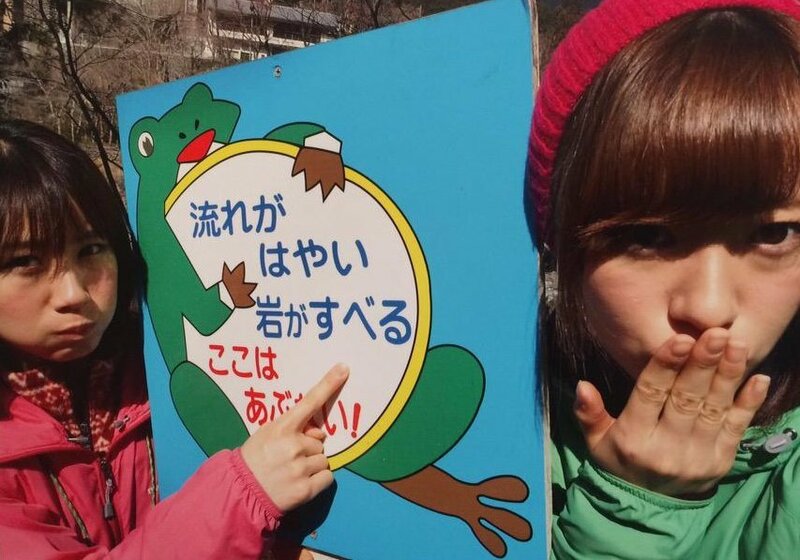 Ikuta: Wait, not now. After I say my name. 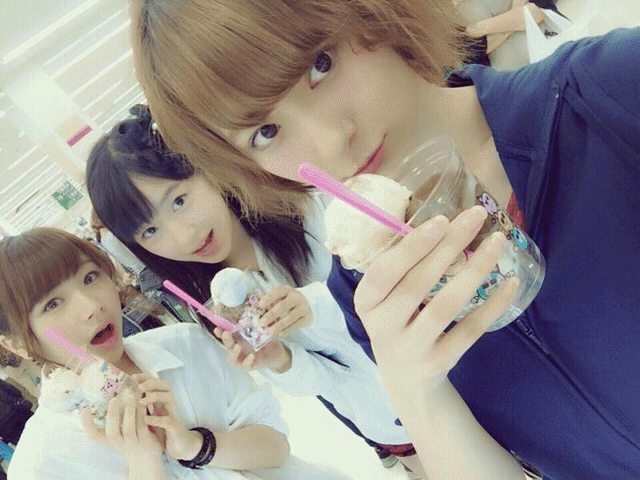 Ikuta: This has been Ikuta Erina!